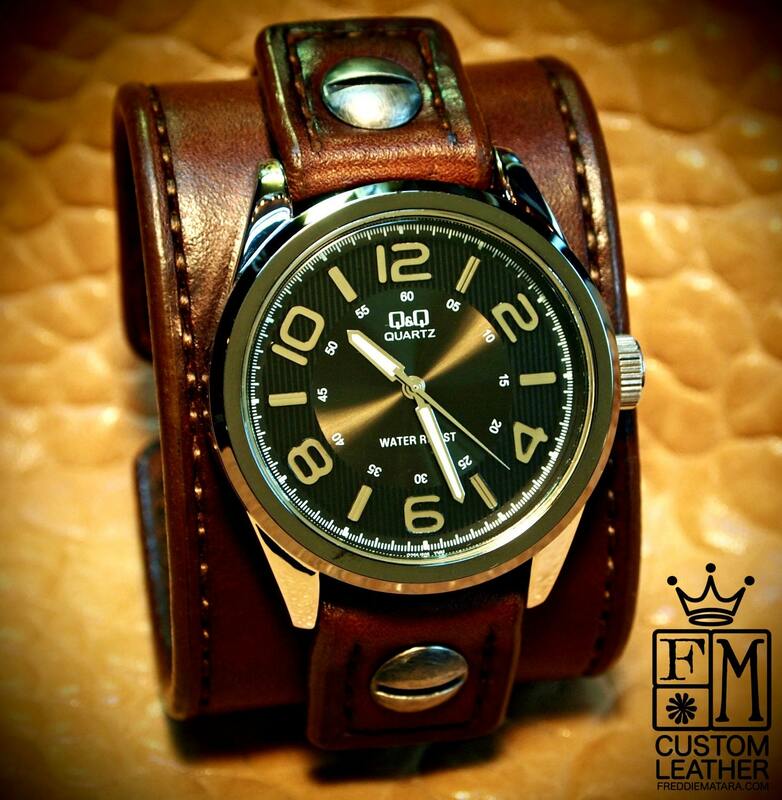 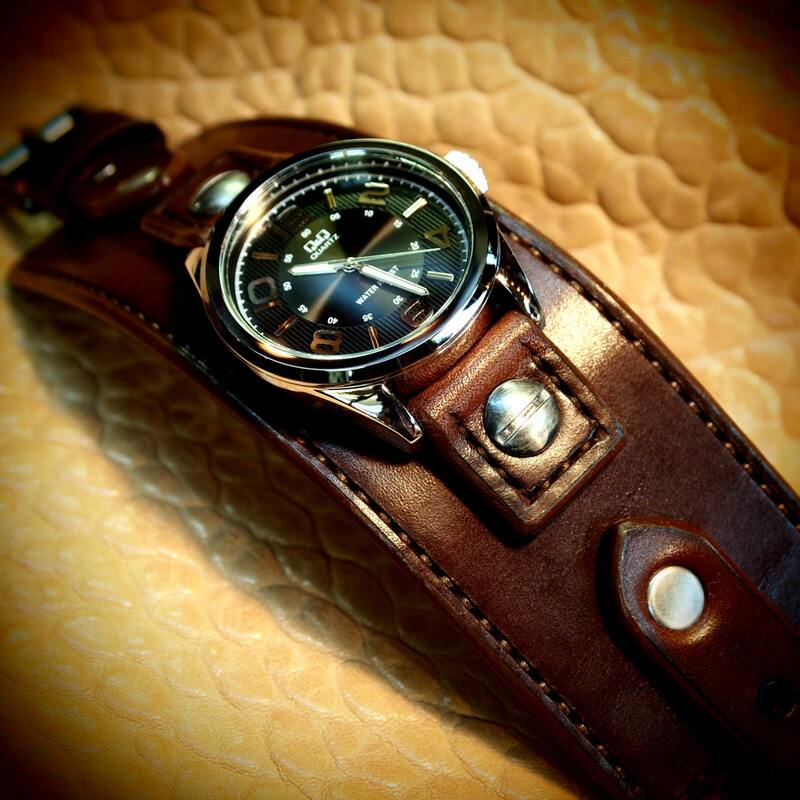 This Brown leather cuff watch is made using top quality Deep Rich Brown American bridle leather. 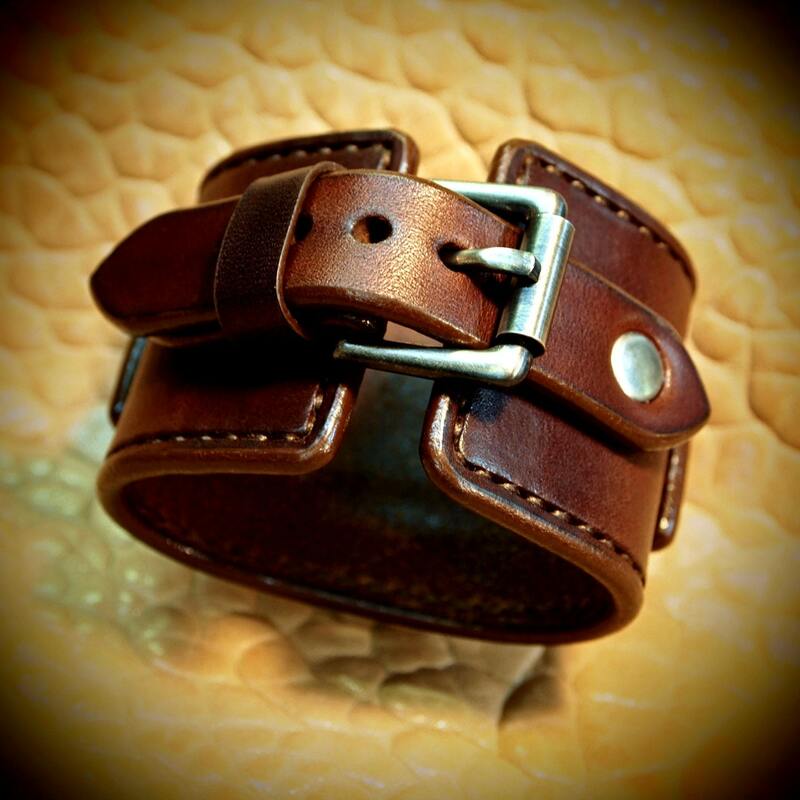 It is 2" wide and hand stitched in brown thread along the edges and watch tabs, has hand distressed rivets and screws and closes with a hand aged roller buckle. 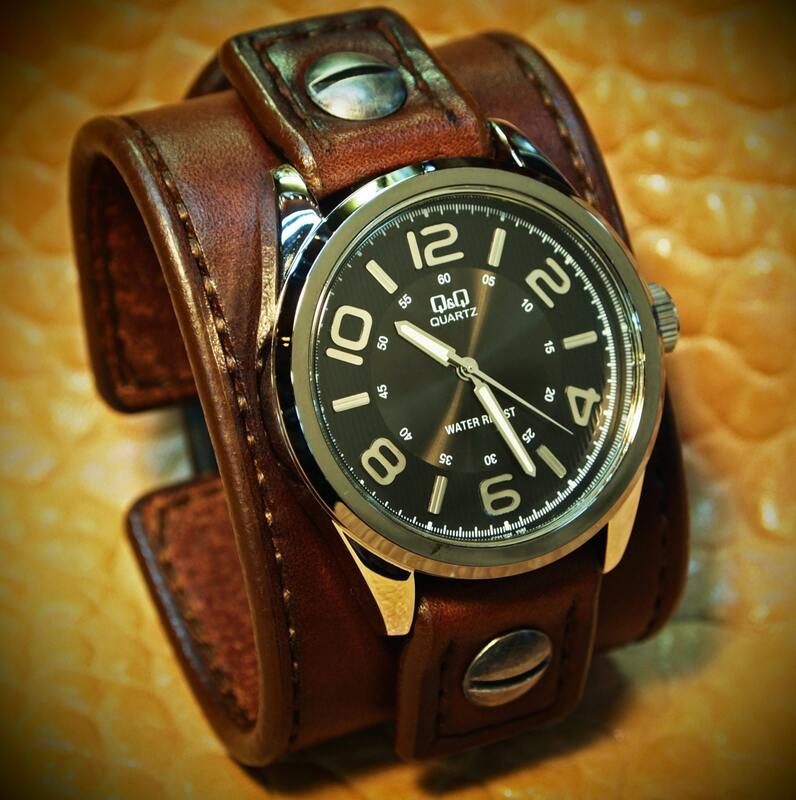 A classic Q&Q watchface by Citizen watch co., with a black face and water resistant movement sits atop!